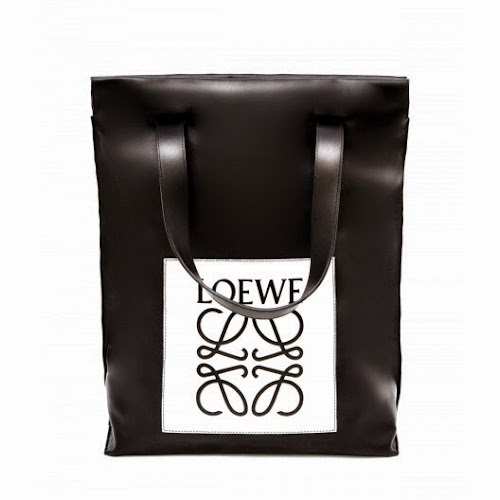 Loewe has been the authority in leather goods for over 160 years, and with Jonathan Anderson as creative director, the Spanish house continues to design classic handbags with cutting-edge techniques. A blend of heritage and innovation, each piece defines the essence of modern luxury. Loewe's new Creative Director Jonathan Anderson is inspired by nautical style for the Spring/ Summer '15 collection. This striped shopper has been handcrafted from supple leather and structured with bonded triangular sides that create a sturdy base. It can be folded to use as a clutch, or carried by the top handles to showcase the designer-embossed plaque. 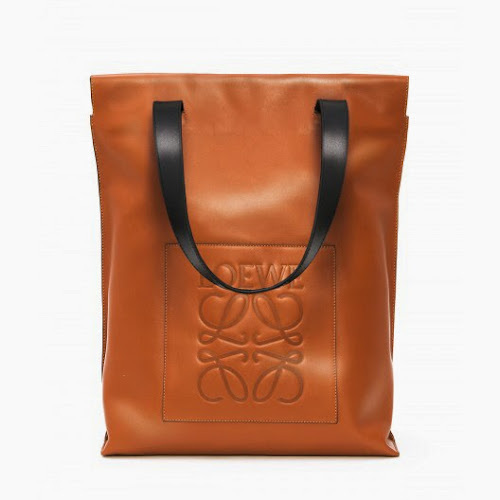 Jonathan Anderson re-invented not only brand's DNA but it's logo too. Loewe's Spring/ Summer '15 collection - Jonathan Anderson's first as Creative Director - is sharp and clean-lined. This handcrafted shopper is embossed with a logo and has bonded T-shaped seams for durability. This style comes with a D-ring to secure your keys.